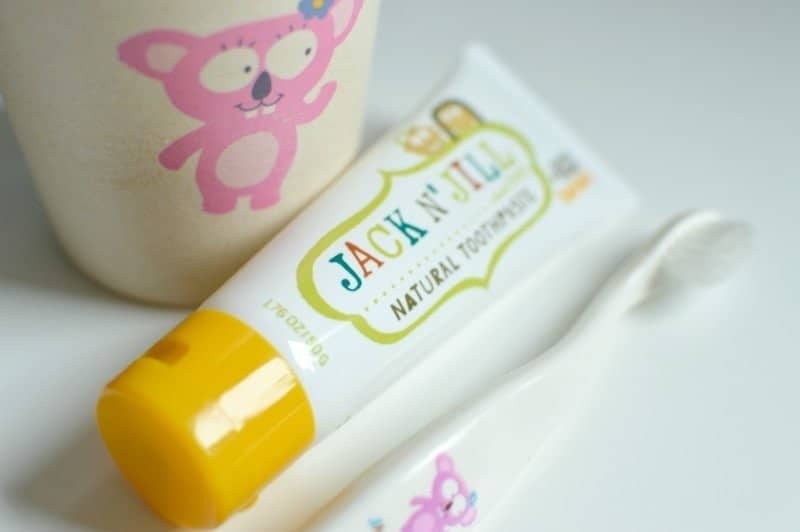 Iconic Australian natural toothpaste brand Jack N’ Jill Kids is now in the UK. Having made kids smile around the world, with its all-natural formula turning brushing into a fun and safe experience. The winning combination of natural organic ingredients and biodegradable, eco-friendly packaging has seen Jack N’ Jill Kids win over the dental market for kids in Australia and overseas, and is now sold in more than 35 countries worldwide. Developed by Melbourne-based couple Rachel and Justin Bernhaut, the original Jack N’ Jill Kids toothpaste was first established in 1949 and has been in Justin’s family for over 20 years. Now its updated formulation and new branding is proving to be more popular than ever – with parents and kids alike. The range incorporates toothpaste of various flavours; toothbrushes – both manual and electric; silicone finger brushes – perfect for cleaning gums and first teeth; rinse cups – all designed to make brushing fun and most importantly, safe for kids. Piglet was recently sent the Jack N’ Jill Bunny Gift Kit which contains everything little ones need for brush time. As a parent to three children, I know only too well how much of a battle getting children to brush their teeth can be. Starting them as early as possible has been the easiest way to get them to complete the task. That way they do not know any different and it becomes a habit. Piglet has quite a few teeth now (although lots of back ones but not many at the front) so making sure that they are looked after is important. The Jack N’ Jill range offers a selection of products to cover the brush time routine. Perfect for when front teeth arrive and for little hands to hold and attempt brushing too. Complete with a safety shield that pops over the top of the brush head to make it safe for little ones to use. The matching Bunny rinse cup has a matte finish making it easier for wet hands to hold. Perfect for rinsing after brushing or a middle of the night drink. When not in use it can storage all the other Jack N’ Jill accessories, keeping your bathroom tidy. Made from rice husks and bamboo, it is biodegradable and compostable. Made from 100 % corn starch and soft nylon bristles it offers a gentle cleaning action for milk teeth. Whether you are helping them brush their teeth or toddlers are just finding their way this will be kind to their teeth and gums. Made with natural ingredients, with no fluoride, sugar, artificial colour or parabens. Only a small amount is needed on the Jack N’ Jill Bio Toothbrush which is then used in a circular motion on their teeth twice a day. A handy bag to store dental accessories when going on holiday or staying overnight with relatives. Could also be used as a tooth fairy bag in the years to come. The Jack N’ Jill Gift Kits are available from their website in four different characters; Hippo, Bunny, Dinosaur and Koala. To help you get your little ones all set for a dazzling smile, Jack N’ Jill have kindly offered a Jack N’ Jill Bunny Gift Kit to one lucky reader. Banana flavour? I think the kids would love it. I haven’t heard of this company but they sound fab, thanks for the giveaway. Good luck everyone!